Maps are important. Everyone understands and appreciates good maps. GIS people work with maps every day. Maps provide the basic experience and practical interface for the application of GIS. Maps are also the primary way that GIS users deliver their work. Maps provide a critical context because they are both analytical and artistic. Maps carry a universal appeal and offer clarity and shape to the world. They enable you to discover and interpret patterns and share your data. Online maps can be created by virtually anyone using Web GIS—and can be shared with virtually everyone. These maps bring GIS to life and can go with all of us everywhere on our smartphones and tablets. Make no mistake, traditional printed maps are not going away. They continue to be important because they enable you to quickly get the broad context of a problem or situation. The best printed maps are true works of art that can stir your emotions. There’s no comparable large-format document that communicates and organizes such large amounts of information so effectively and so beautifully. Cartographers using ArcGIS will continue their craft of making astounding print maps that teach and amaze. And this will always be the case. Large-format, printed maps and their digital cousins (like PDFs) will continue to significantly occupy the good work of many mapping professionals. The difference now is that GIS tools have come of age for this level of professional cartography. 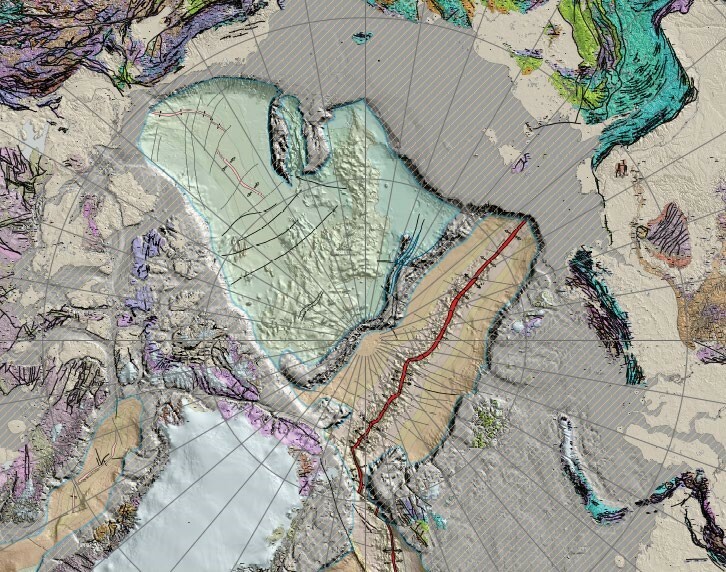 This large-format poster map of tectonic geology, along with sea floor age, and structure appeared in the map gallery at the 2014 Esri User Conference, and is featured in the cartography category of the 2015 Esri Map Book. Meanwhile, there is a major online mapping revolution underway, and the implications of this are far-reaching. We all know that consumer maps are ubiquitous on smartphones and the web. Map-based applications regularly rank among the most-used programs on smartphones and mobile devices. Online maps have familiarized millions of people with how to work with maps, and this massive worldwide audience is ready to apply maps in ever more imaginative ways to their work using Web GIS. Any map made can be saved and shared as a web map—according to its intended audience and expected uses. The user experience of this map is determined by the application employed. With the ArcGIS platform, users now have more options in designing and implementing purposeful maps, as shown in the example apps below. This interactive earthquake map, put up within hours after the devastating 2015 Nepal earthquake, shows the quake epicenters, shaking intensity, and social media updates. Symington Family Estates is a vintner and port wine house in Portugal that utilizes GIS. They have encapsulated an overview of their GIS work in this story map. Perhaps no audience is as interested in a map as those trying to survive a dangerous epidemic like Ebola. The water conservation dashboard gives a water district executive the ability to monitor water usage in real time. Technology has proven to be vital to Conserve Wildlife Foundation’s work over the years protecting rare wildlife species and communicating to its constituents.